“Volkswagen Group Australia (VGA) met with the relevant government authorities yesterday to advise them of its strategy in Australia to address concerns that have been raised around the world regarding the diesel emissions issue. “In its first step, effective immediately VGA has temporarily suspended the sale of affected vehicles fitted with 1.6 or 2.0-litre EA189 diesel engines. The suspension will remain until the emission issues are addressed in those vehicles. If you already own a vehicle with one of these diesel engines it remains safe to drive. 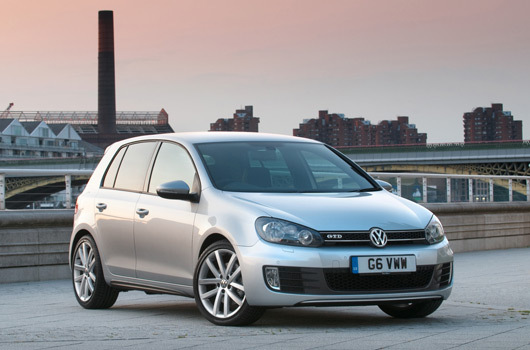 Other Volkswagen Group models fitted with different diesel engines do not feature the controversial defeat device, designed to cheat emissions tests, and remain unaffected. 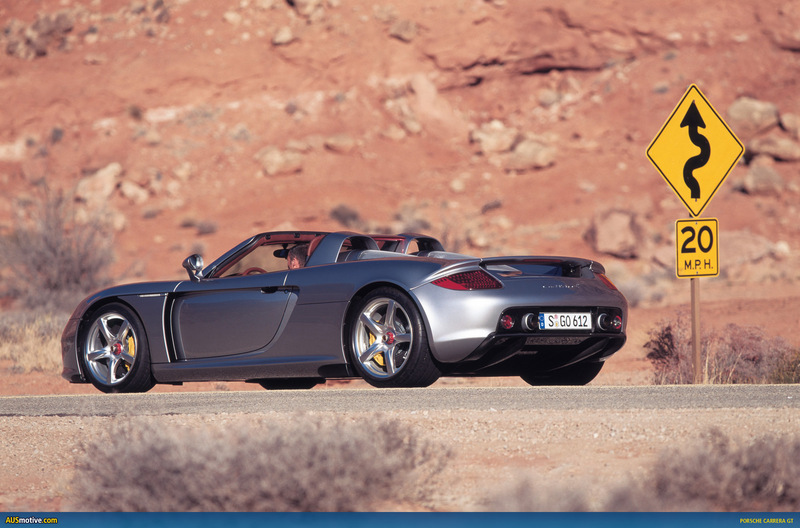 Paul Walker was killed in late 2013 while taking a ride in a 2005 Porsche Carrera GT. 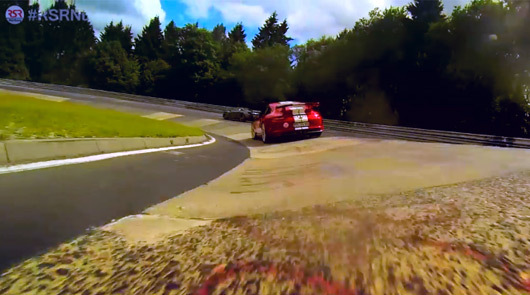 Walker’s friend Roger Rodas was driving at the time of the accident. Excessive speed is thought to have been the main cause of the accident, but Porsche is now being forced to defend itself following news that Walker’s daughter, Meadow Walker, is filing a wrongful death suit against the company. It’s also claimed that the seatbelt design of the Carrera GT was faulty and contributed to Walker’s death. You may remember a chap by the name of Arthur Schening who we featured earlier this year. He’s a graphic designer by day and automotive artist by night. 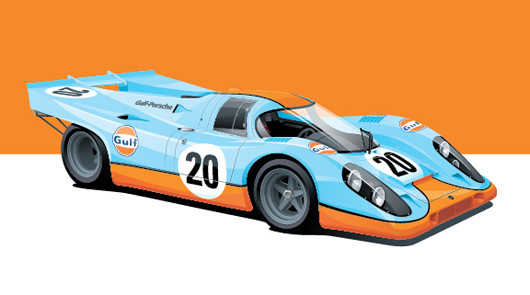 Here’s one of his latest releases, the beautiful Porsche 917K in Gulf Racing livery. Having purchased a couple of pieces already we can vouch for the quality of the prints supplied by Schening and we’re going to find it very hard to resist ordering a copy of this 917 artwork. For those of you not so inflicted with the Porsche disease perhaps this Ferrari 512M or Alfa Romeo Giula TZ2 may tempt you. 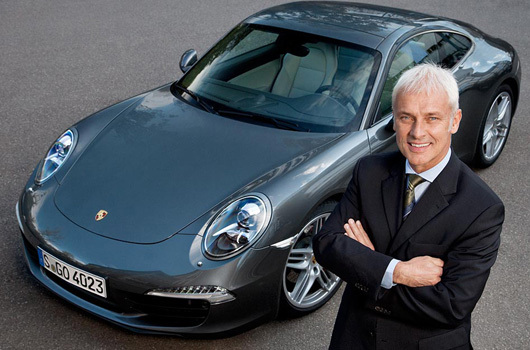 Matthias Müller will move from his role as Porsche CEO into the Volkswagen Group CEO seat left vacant by the disgraced Martin Winterkorn. On his appointment Müller said: “My most urgent task is to win back trust for the Volkswagen Group—by leaving no stone unturned and with maximum transparency, as well as drawing the right conclusions from the current situation. Müller began his Volkswagen Group with Audi in the 1970s and and has also held positions with Seat, Lamborghini and Volkswagen during his rise to the top of the Volkswagen Group tree. 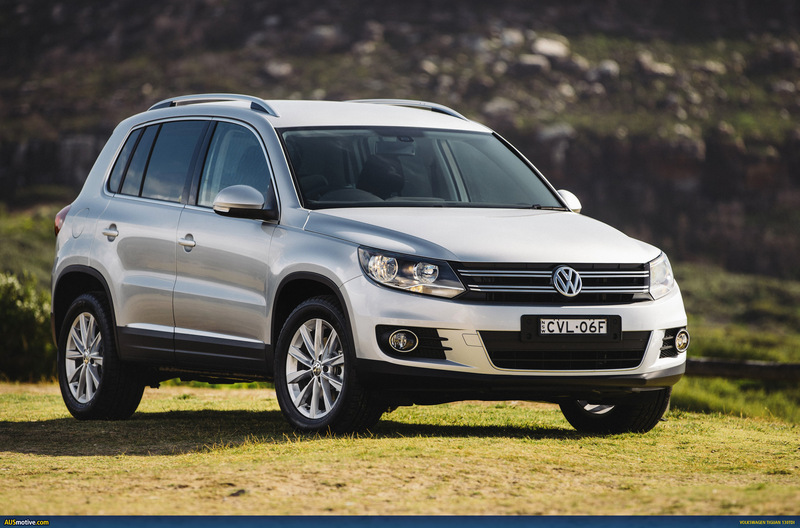 Meanwhile, Volkswagen says that five million of the 11 million vehicles affected worldwide by the noxgate scandal are Volkswagen products and those fitted with the affected EA189 2.0 TDI engines include the Golf VI, Passat VII and Tiguan. For its part Volkswagen Australia remains eerily silent on the issue, with no official press releases or comment on its website about the noxgate drama. German publication Auto Bild has dragged BMW into Volkswagen’s noxgate scandal. 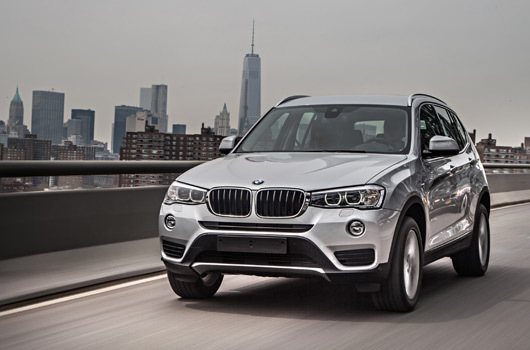 It claims the International Council on Clean Transportation (ICCT) conducted tests on the diesel-powered BMW X3 20d Xdrive and found it produced more than 11 times the allowed NOx emissions under Euro6 regulations. Despite this BMW’s shares still took a hit, although nothing as severe as we saw with Volkswagen this week. Fallout continues for Volkswagen with its CEO resigning in disgrace and expectations more executives will be moved on. The process of clarification and transparency must continue. This is the only way to win back trust. I am convinced that the Volkswagen Group and its team will overcome this grave crisis. 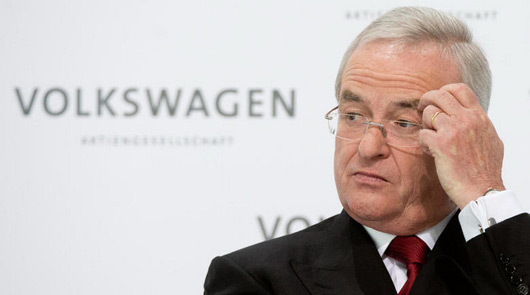 The Executive Committee of Volkswagen’s Supervisory Board has responded with nine conclusions, which include thanking Winterkorn for his leadership and offer to resign as well as clearing the pathway for more management exits to follow in light of possible criminal proceedings. You can read the board’s statements below. Volkswagen’s shares have plummeted more than 18% in Germany as the company suffers the fallout from its diesel emissions scandal in the United States. According to the United States Environmental Protection Agency Volkswagen and Audi are in breach of California’s Clean Air Act after the manufacturers created software to deliberately cheat emissions testing. As a result, the EPA claims four-cylinder diesel powered models built between 2009–15 emit as much as 40 times more nitrogen oxides (NOx) than tests showed. Over 480,000 vehicles are affected and Volkswagen could face penalties of up to US$18 billion, with fines of US$37,500 per vehicle in breach of the relevant laws. For its part Volkswagen is preparing to take its medicine with Martin Winterkorn, Volkswagen AG CEO, issuing a statement apologising for the breaches. “I personally am deeply sorry that we have broken the trust of our customers and the public,” Winterkorn said. “We will cooperate fully with the responsible agencies, with transparency and urgency, to clearly, openly, and completely establish all of the facts of this case. 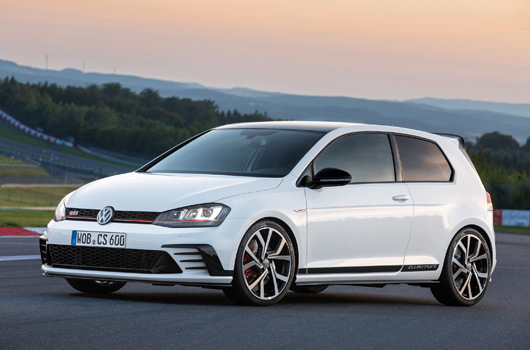 The first Golf GTI was released in 1976 and this new Clubsport model is Volkswagen’s birthday present to itself. It’ll be released next year to celebrate the GTI’s 40th anniversary. Visually it’s pretty much as previewed in concept form earlier this year. Powered by a 2.0 litre turbocharged four cylinder engine with 195kW it’s the most powerful GTI ever. But there’s more! With a 10-second overboost function power briefly peaks at 215kW. Coupled to a 6-speed DSG it’s enough to propel the GTI Clubsport to 100km/h in 5.9 seconds (manual 6.0 secdonds). That’s all pretty good, but it’s the way this latest GTI looks that’s rocking our world. Finished in classic Oryx White paint and complemented by specially created forged alloy wheels looks awesome. 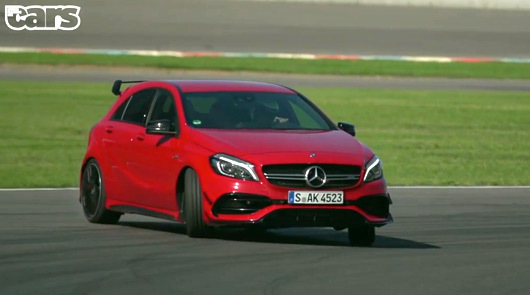 And the aggressive body kit, from the sleek front spoiler to the large rear wing, just works. Volkswagen Australia, don’t be pricks. Bring this car down under, in three door and with a manual transmission. Seriously! 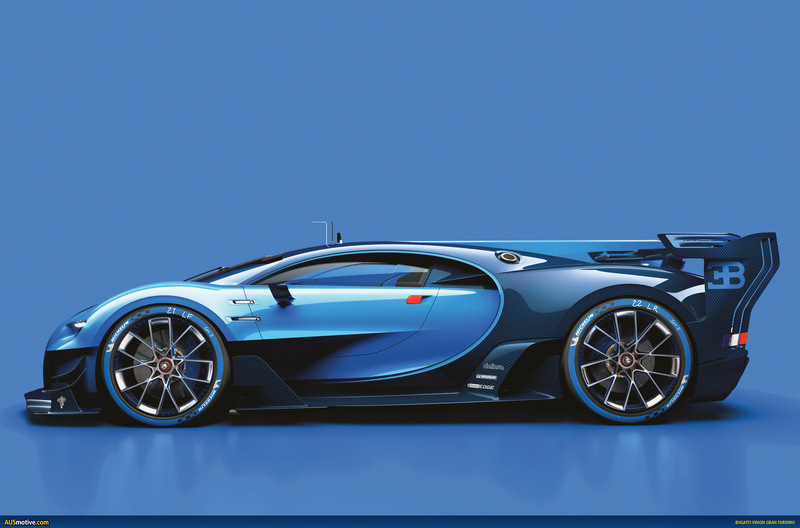 This rather cool looking beast is officially called the Bugatti Vision Gran Turismo. It’s been created for the virtual world only. So let’s add to the speculation and say this is pretty much a concept car for the Chiron, the car tasked with replacing the iconic Veyron. Further adding to that theory is the fact Bugatti will rock up to the Frankfurt Motor Show with a 1:1 scale model of the Vision Gran Turismo. Of course any such road car, predicted to cost €2.2 million (AU$3.5 million), won’t feature all of the garish wings and aero adornments for racing, but perhaps we’re being prepared for a very much Veyron-inspired evolutionary design.